The updated, majestic condos at Ponds of Tarpon Woods are located just east of Lake Tarpon in the wooded area of East Lake, FL. Here the condo buildings are surrounded by grass, trees, ponds, and other environmental features that truly reflect the natural beauty of Florida. All of these pet friendly condos are 2/2s and end up at around ~1100 sq ft, but some interior features vary, with most including hardwood flooring, newly updated kitchens, screened in lanais, fresh coat of paint and baseboards, and much more. A heated community pool is available for all to use, and the condos are close to a golf course as well. All the features and amenities in Ponds of Tarpon Woods along with the great location make buying one of these units well worth the price. And with a real estate agent by your side, you can get an even better deal out of the purchase. Call us today! Selling your Home in Ponds of Tarpon Woods? 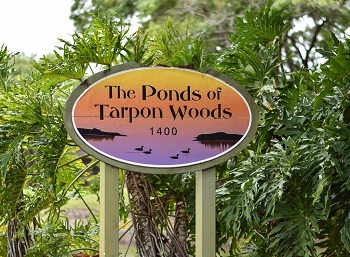 Selling in Ponds of Tarpon Woods? Call one of our experienced agents today at Lipply Real Estate. We have been avidly selling homes through out the Palm Harbor Area since 2002 and we are full speed ahead! We are confident we can help get your home listed and sold in a fast and effective manner. Contact us today at 727-314-1000 or enter your information in the form below!